The magazine’s contributor Ben Bradford spoke with the Triple Darkness member about the origins of the EP’s title, discussed the reasons behind the Emcee’s earlier inclination to give up music and the factors which influenced his decision to continue, they talk through specific tracks on the EP and working with Prince Po, his time in the States and his plans for his future album scheduled to be released later in 2014. 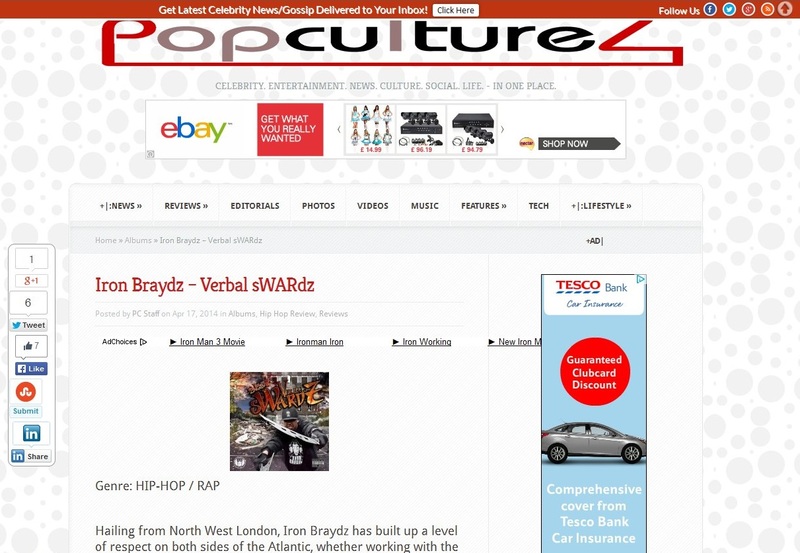 The Verbal sWARdz EP received widespread international media coverage and laid down a strong marker for what’s to come later in the year. Largely self produced, it features Prince Po, Sean Price, Phat Kat, Triple Darkness, Kyza, Skriblah and a guest appearance from Kiss FM’s DJ Shortee Blitz. 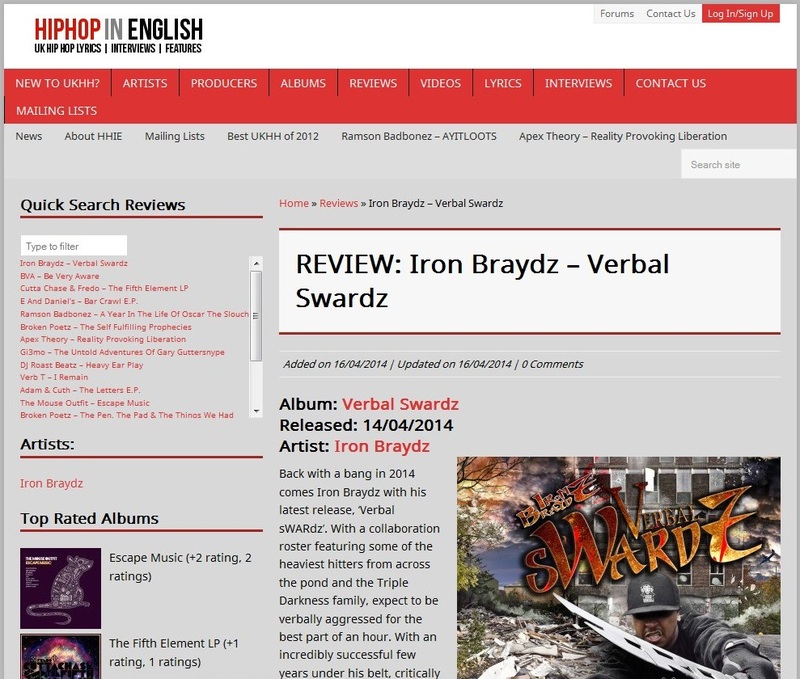 They are the latest to give a full endorsement to the new “Verbal sWARdz” EP released on 14th April by north London Emcee & producer Iron Braydz. 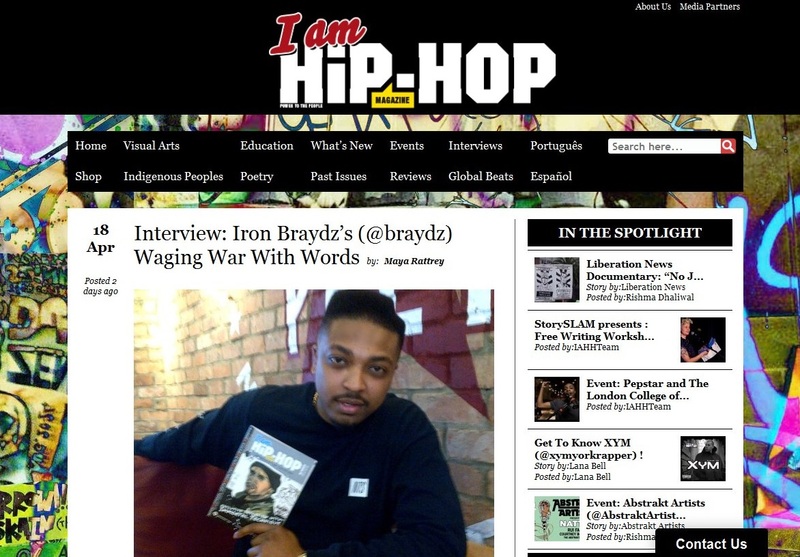 Based in New York and run by executive editor Sunez, online publication Premiere Hip Hop are well known to cover hip hop with a focus on conscientious lyricism, superior rhyme skillz and wordplay and on point production – the key elements whether drawing from a traditional or more contemporary overall sound. The largely self produced 10 track EP is the beginning of what is planned as a series of releases over the next 12 months whether solo or as part of Triple Darkness and FuFu Gang. 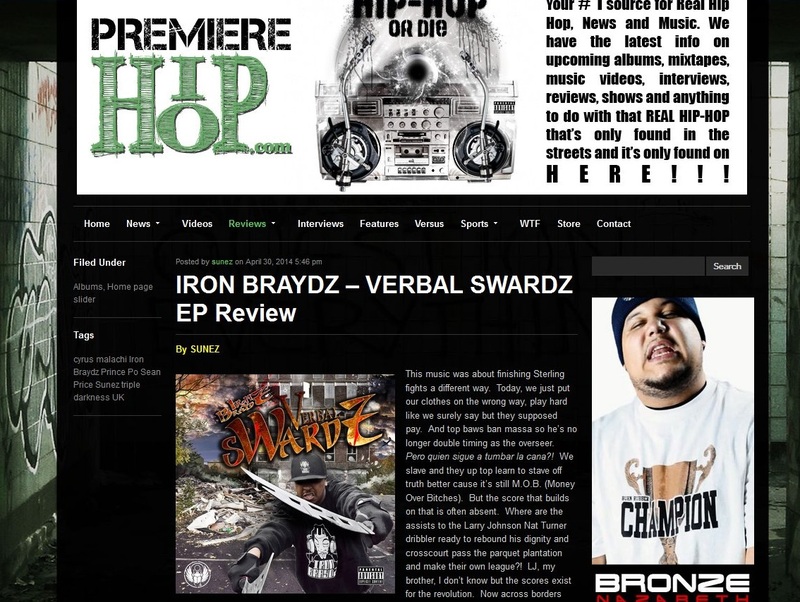 Verbal sWARdz also features Triple Darkness with further contributions from Prince Po, Sean Price, Kyza, Skriblah, Phat Kat and DJ Shortee Blitz. Check his new video “Rambo” released last week featuring Kyza and Skriblah with a cameo appearance by Melanin 9. 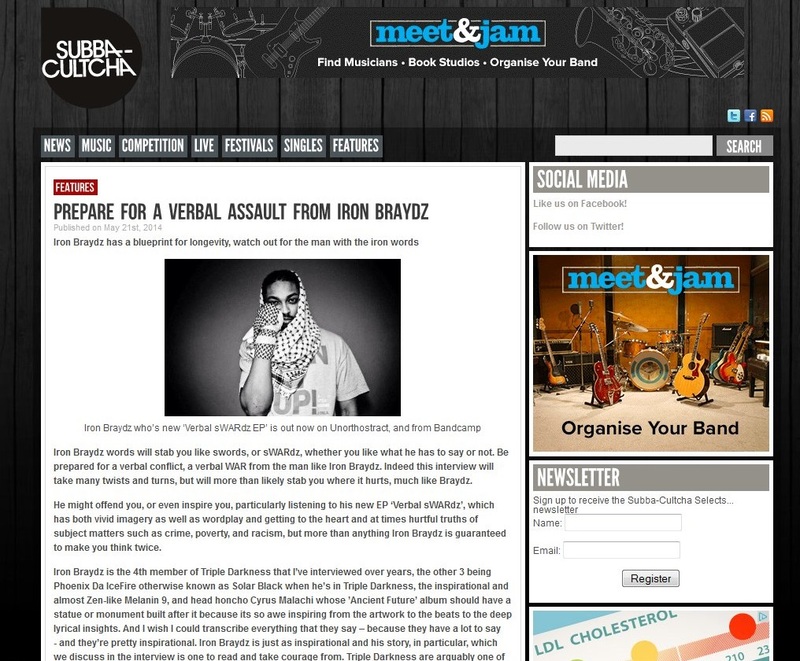 The EP is largely self produced by Iron Braydz, and features Prince Po, Triple Darkness, Sean Price, Kyza, Phat Kat, Skriblah and Kiss FM’s DJ Shortee Blitz. From start to finish, the 10 tracks deliver bangin hip hop beats and lyrical fire. 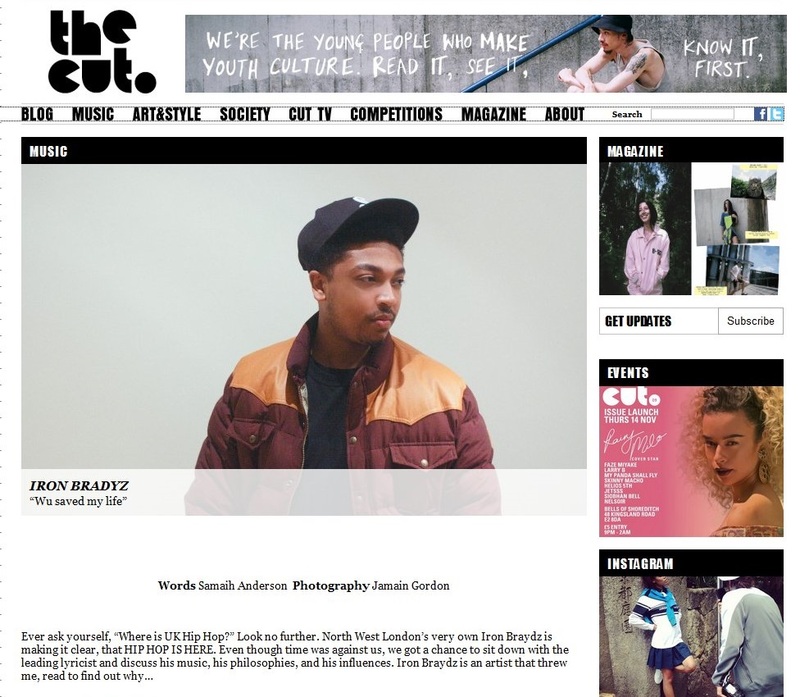 Although it is only the first of a series of projects planned for the year ahead, whether solo or as part of the city’s crews Triple Darkness & FuFu Gang, it is already shaping up to be one of the hottest British hip hop releases of 2014 having attracted widespread international media attention.